Description: DMC Needle Threader is a useful, multi-purpose tool for the busy stitcher. This threader contains one hook for treading heavy weight threads and yarns, one hook for medium weight, and a wire for use with fine threads. 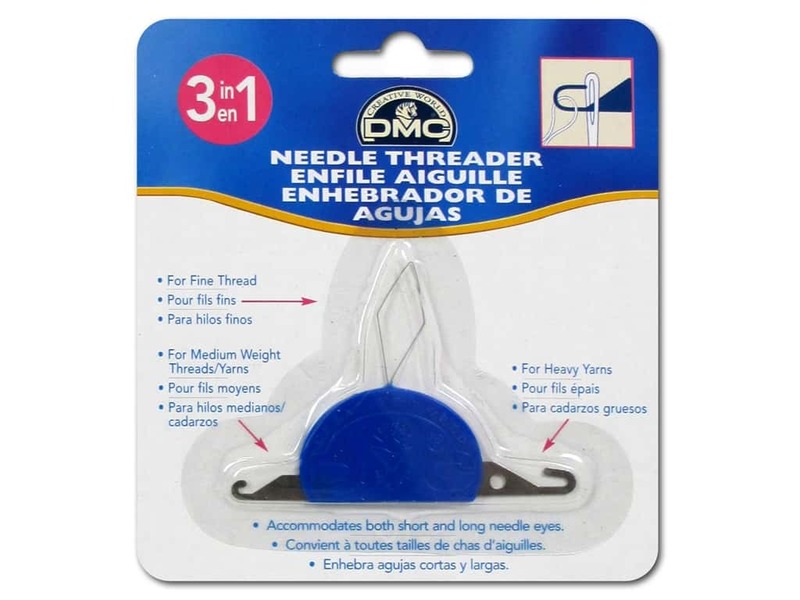 DMC Needle Threader 3 in 1 4.00 out of 5 based on 2 ratings. 2 user reviews.